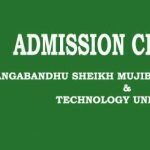 The admission Circular of Rangamati Science and Technology University has already been published on their official website (www.rmstu.edu.bd). It is the most popular science and technology university among the three hill district of Chittagong. It is located in Rangamati Districts. This is the only University on those districts. 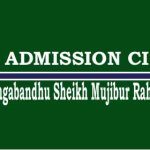 All kinds of Notices, RMSTU Admission Circular 2018-19, Seat Plan, results will be available on their official website as well as ontaheen.com. Keep in touch with us. All the department have 50 Seat Each. After sending the message successfully, candidates will receive a message. This message will as for the consent of the candidate, candidates name, Admission test fee and A PIN Number will be mentioned the the message. After sending the message correctly 600 BDT will be deducted from the Teletalk Applicant Account. It is the fees of his admission Test. This fee is non- refundable. To Apply for Quota applicant have to add QUOTA Code After the the Subject. First SMS Format Should has to follow. To download the admit card, Applicant have to browse the official Teletalk website rmstu.teletalk.com.bd . If you want you can submit an application with necessary document to the RMSTU Authority. In this case, you have to pay 200 BDT to the registry office. The admission test will be taken in MCQ (Multiple Choose Question) system .. Total Marks for the test is 100. The duration is 60 Minutes. Candidates have to fill up 100 MCQ, Merit list will be generated by the addition of Admission Test + 8 x SSC point + 12 x HSC points. For the Department of Management , Applicants have to obtain 6 marks in Bangla and English. We are trying our best to update the all the admission notices for you. If you have question don’t forget to ask any question related to the RMSTU Admission Circular and Result. We here to help you.